Wholesaler & Trader of CCTV Surveillance System. Our product range also comprises of CCTV Cameras, Access Control System and Flap Barriers. 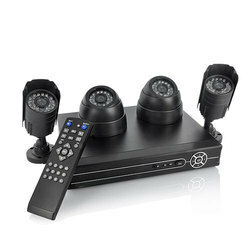 We offer an extensive range of DVR Surveillance System. These products are available in varied configurations that meet on client’s demand.